Tascam DA-P1 DAT recorder, Sony PCM R-500 DAT recorder, custom built one inch diaphragm microphones. Supra cables were used throughout the recording and monitoring signal paths, analog and digital. resulting in true original dynamics and spatiality. Saint Bridget of Sweden (1303-1373), or Birgitta Birgersdotter, was canonized in 1391 and declared patron saint of Europe in 1999. 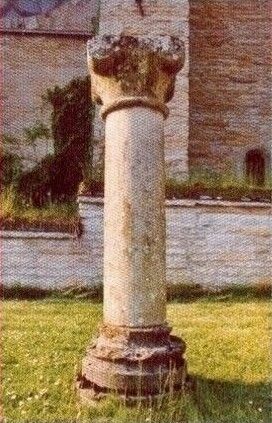 She established her own monastic order and the first Bridgettine convent was inaugurated in 1384 at Vadstena. The weekly officium of Vadstena contains hymns, antiphons and responses. 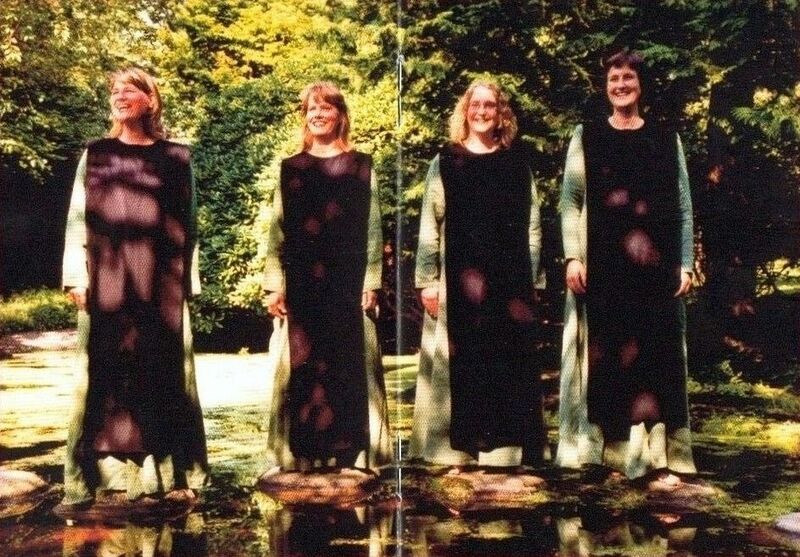 Their lyrics are based on a selection of the more than 700 recorded revelations of Sancta Birgitta. In collaboration with her confessor, Magister Petrus Olovsson of Skänninge, she composed the liturgy and the cycle of songs called Cantus sororum, Song of the Sisters. Within Cantus sororum, each day of the week has its own fixed theme from the legends of the Virgin Mary. Friday, the day when Mother Mary's lament over her son's suffering and death is contemplated, is concluded by the hymn Rubens rosa. The theme for Saturday is the assumption of the Virgin Mary and one of the antiphons sung in the morning is Paradysi porte. An antiphon is a song or single versicle chanted before, and often after, a psalm or canticle. It is a kind of "motto song" for the psalm. The sequence Missus Gabriel de coelis is found in a Bridgettine manuscript, Den Haag, from the Netherlands. This song is sung after the epistle but before the gospel reading, within the mass, on festive occasions in the church calendar. The motet Salve porta paradisi is by Damett and is to be found in The Old Hall Manuscript. This is the oldest important collection of English music of the 15th century. Even though more than two centuries separate them, the lives of the two persistent female mystics Saint Bridget and Hildegard von Bingen (1098-1179) presents many resemblances. As in the case of Birgitta, Hildegard was of noble birth, established her own monastery, wrote down her visions with the aid of a monk and was by the end of her life known all over Europe for her influence on society, regarding both religious and political issues. 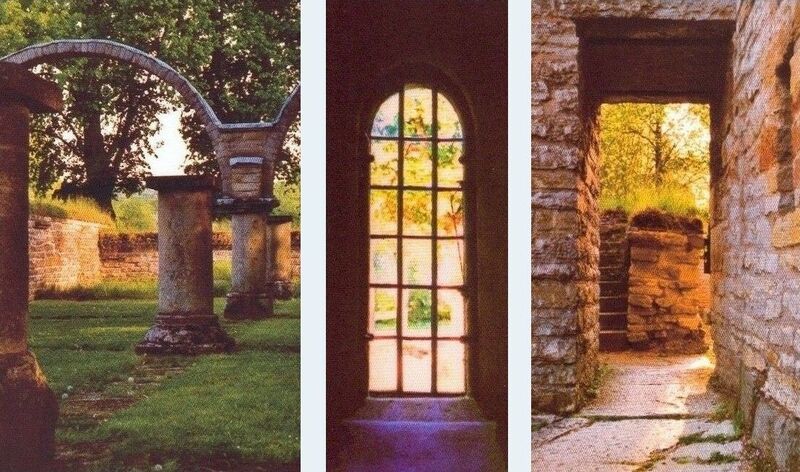 The antiphon O viridissima virga comes from her cycle of songs Symphonia armoniae celestium revelationum - the harmonic consonance of the heavenly revelations - that deals with the vitality of verdure permeating the creation. The Virgin Mary is not only described as the greenest branch, but also as the new Eve of paradise. Mary is portrayed as a conciliator between God and man, since she defeated the snake that fooled Eve. Santa Maria comes from Cantigas de Santa Maria, a collection of folk songs and spiritual canticles of a kind that the Castillian king Alfonso X (1226-1284), keenly encouraged at his court. Many of these songs probably are of the king's own hand. This grand collection of more than 400 songs of the Holy Virgin has been preserved to the present day in splendid and elaborately illustrated parchment scriptures. The Cistercian convent Real monasterio de las Huelgas de Burgos was founded In 1187. Under Alfonso X the monastery developed into a cultural centre, and one of the last great handwritten works on music of the Ars antique period, the Codex Las Huelgas of the 14th century, was prepared there. It is the only scripture of its kind still kept in its original place today. The collection contains many pieces not to be found in any other manuscript in the world. Mater Patris et filia and Ave, maris stella both derive from it and belong to the genre conductus, meant to be sung during processions within the service. Kyrie, Gloria and Agnus Dei are three ordinary parts of the mass. The composers are not known, but the pieces are designated by their respective places of discovery: Barcelona, lvrea and Cambrai. The compositions are homophonic, written for three parts in counterpoint. In the early 14th century the development of polyphony was met with much scepticism. The church was against the renewal and the Pope wrote a decree forbidding the new style of polyphonic composing. Most surviving mass compositions of the time, however, are works from the chapel at Avignon where the popes resided during the 14th century. 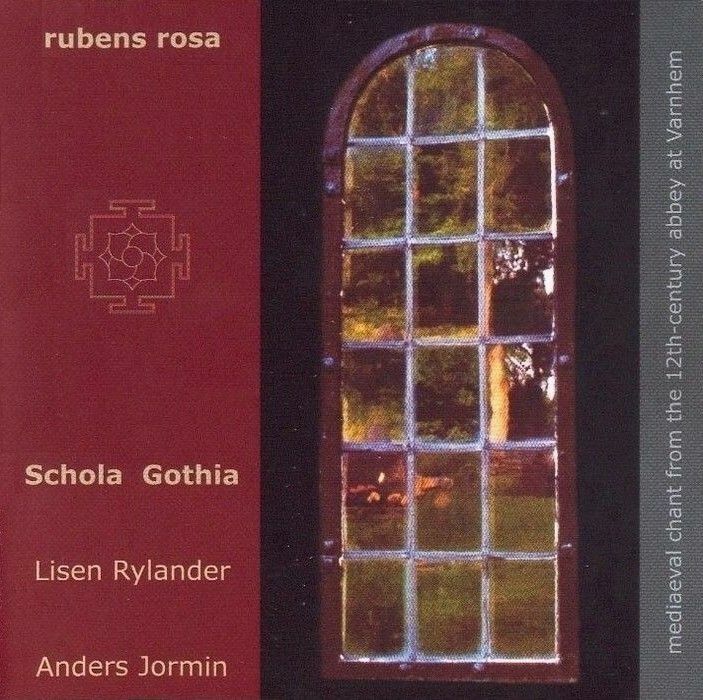 To reflect the timeless ambience of the songs of Schola Gothia, we comissioned Lisen Rylander and Anders Jormin to compose music for this CD. Through improvisations they have created pieces called Reflexio I-VIII, based on the themes of the songs, sometimes responding to them and at other times developing in quite another direction. These reflections were recorded with few or no retakes to preserve the authentic experience of improvisation. On Reflexio IV, Anders plays cajon, a box-like percussion instrument common in flamenco. On Reflexio VIII, Lisen plays kalimba, or thumb piano of African origin. Lisen has composed Reflexio III & V. Anders has written Reflexio I, II & VII. The other reflections are results of their joint efforts. is a vocal quartet dedicated to Mediaeval music, Gregorian chant and the earliest polyphonic singing of the 14th and 15th century. The ensemble was established in 1999 and has since then regularly been giving concerts. During their extensive tours, they frequently attend early music festivals throughout Europe, giving recitals and holding workshops. Their music is rehearsed and performed from facsimile music sheets in the notation system of those days. They gather around a single, tall music stand for unison chanting, wearing tunics true to the period. Thus letting props constituting faithful replicas from Mediaeval source material accentuate the atmosphere of their public appearances. Ulrike Heider, initiator and artistic director of the ensemble, is of German origin but received her comprehensive music schooling in the Netherlands. She now resides in Gothenburg, Sweden, where she is active as organist and choir leader. She also teaches liturgical singing at the Gothenburg College of Music, where the remaining three members all had their education.